The Serb was tremendous during our pre-season friendlies and seemed to have both the physical and technical attributes to take the Premier League by storm. But sadly, injuries have decimated his campaign and he’s really been stuck in the Under-23s when fit. @stuffIfc @AcademyLFC @trentaa98 Lovely goal, but what about Grujic destroying that Everton player in midfield before the assist ? 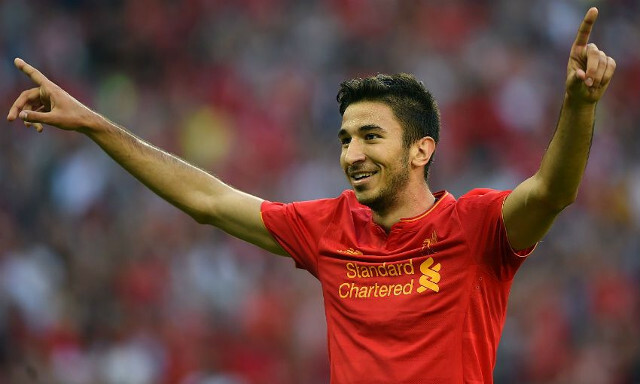 I’m pretty certain Grujic will be a fucken monster. Excited to see how Grujic and TAA get on next season. Should be breakthrough seasons for the both of them. What about a middle 3 of Can, Lallana and Grujic next game to spice things up?